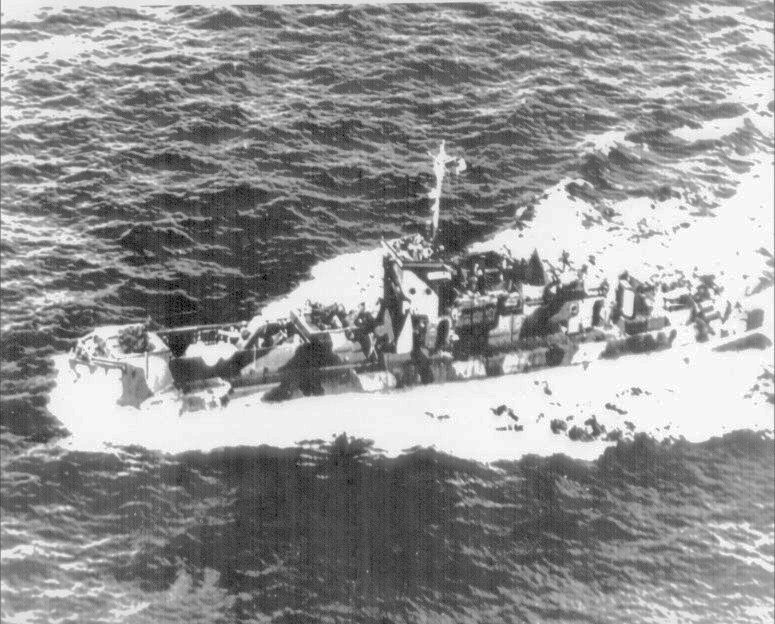 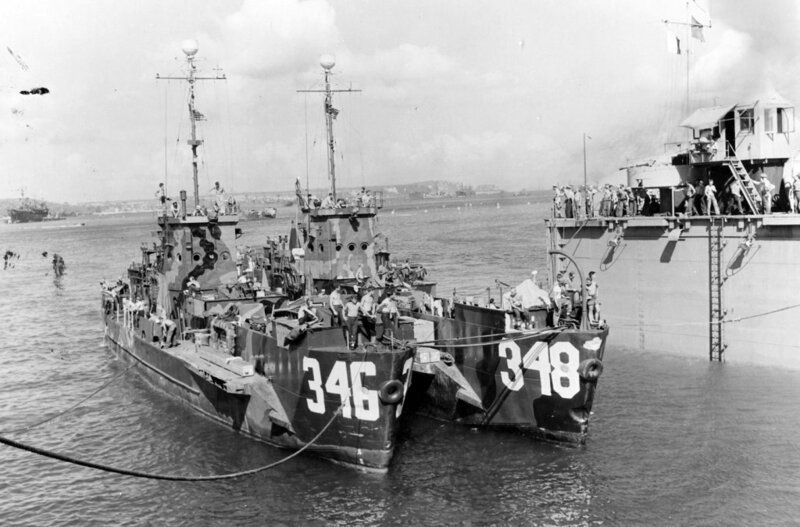 Decommissioned, circa February-March 1946, at New Orleans, LA. 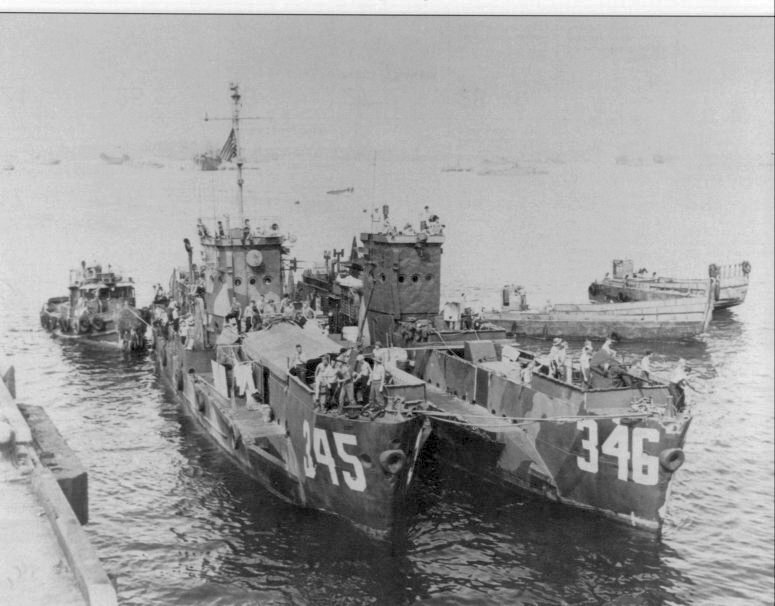 138k USS LCI(G)-346 and USS LCI(G)-348 departing USS ABSD-1 at Guam, Marianas Islands. 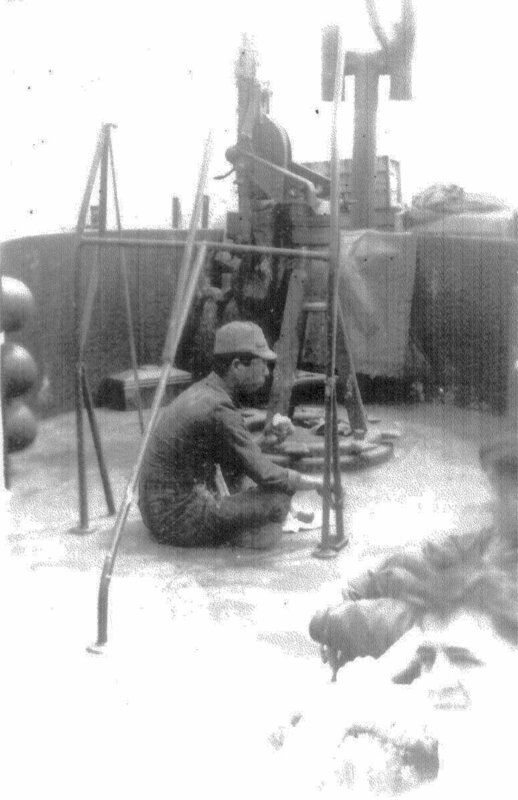 These were initial Central Pacific conversions, recognizable by the square gun tub forward of the bridge. 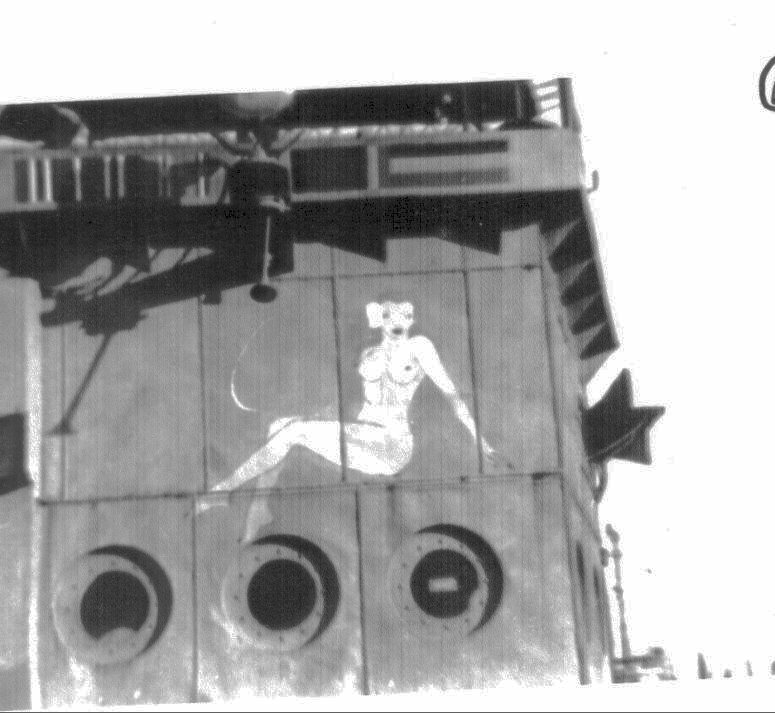 They had two single 40 AA mm guns forward plus three 20 mm in the usual positions atop the superstructure and right aft), six 0.50" Cal. 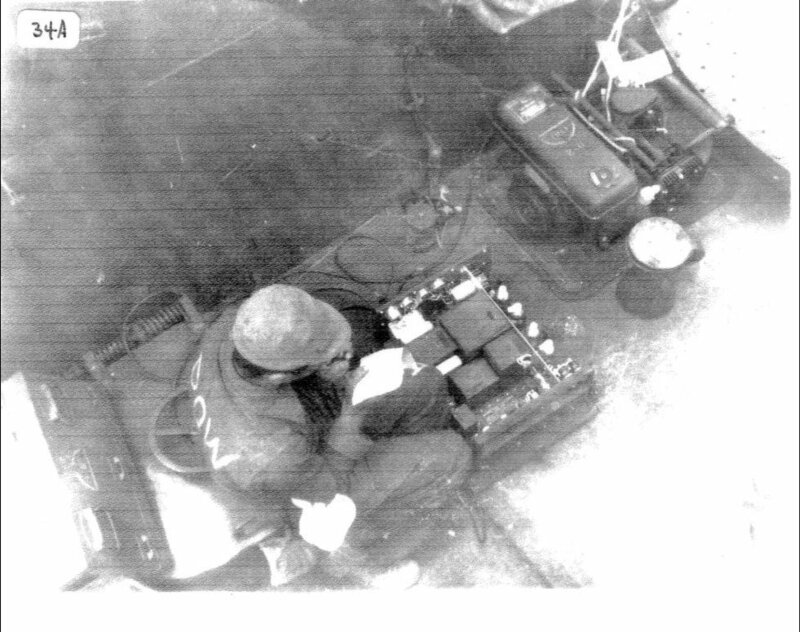 machine guns, and ten Mk 7 rocket launchers. 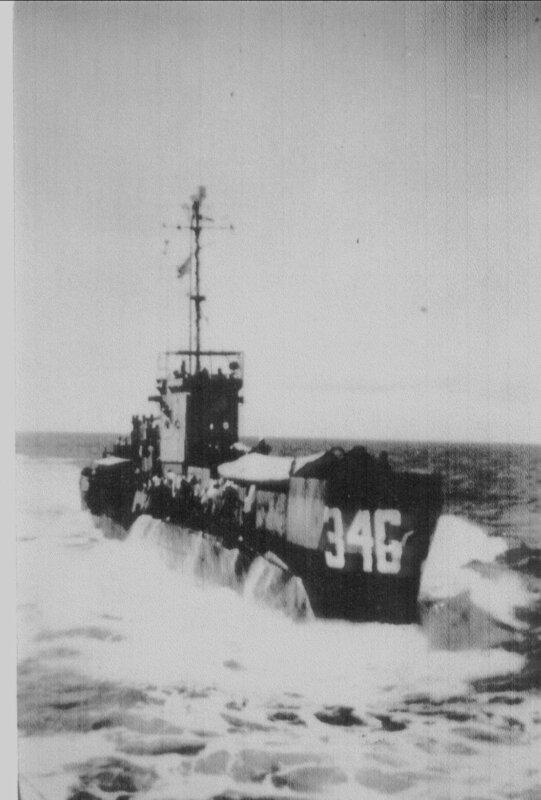 USS LCI(L)-346 was a press boat for the Iwo Jima operation, rushing copy from war correspondents aboard ships to a communication ship that radioed it home. 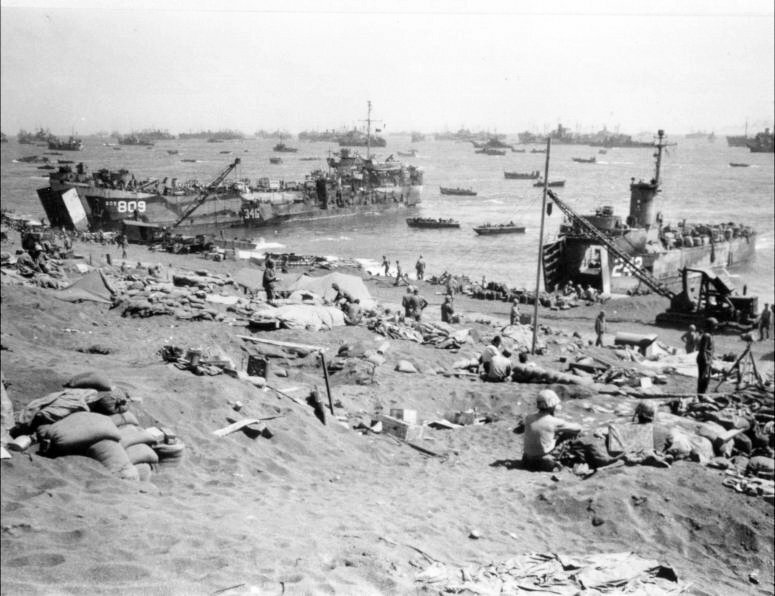 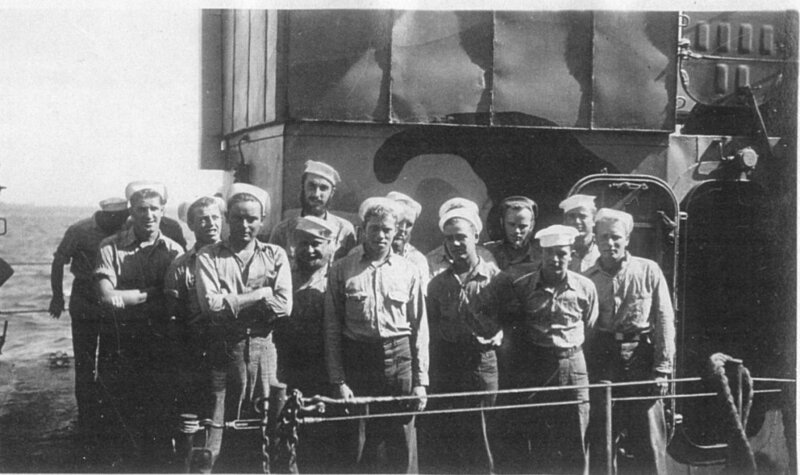 69k USS LCI(G)-346 engineers, 1945 off Iwo Jima. 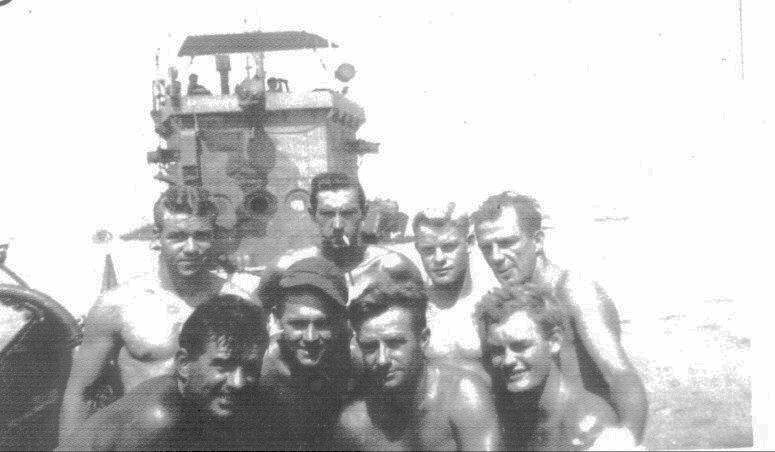 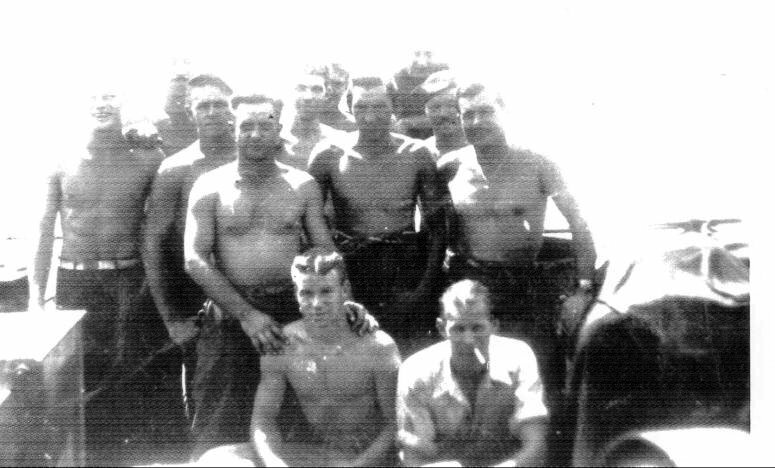 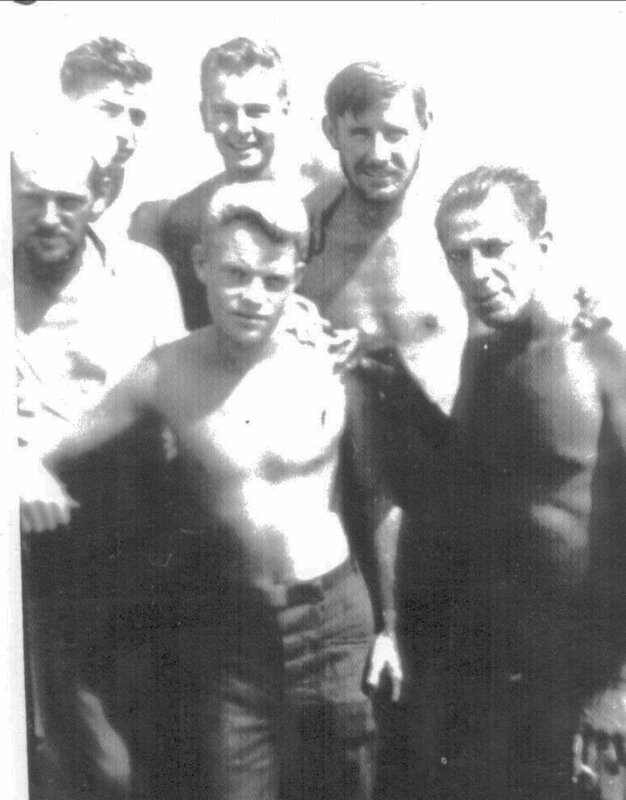 125k USS LCI(G)-346 partial crew photo, 1945 off Iwo Jima. 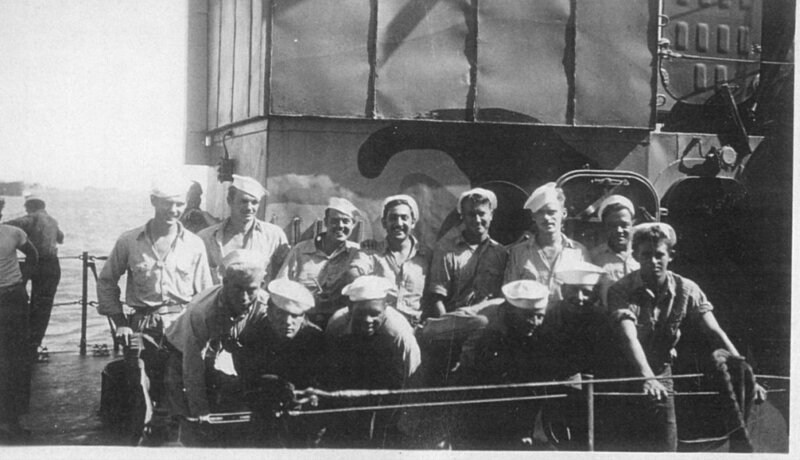 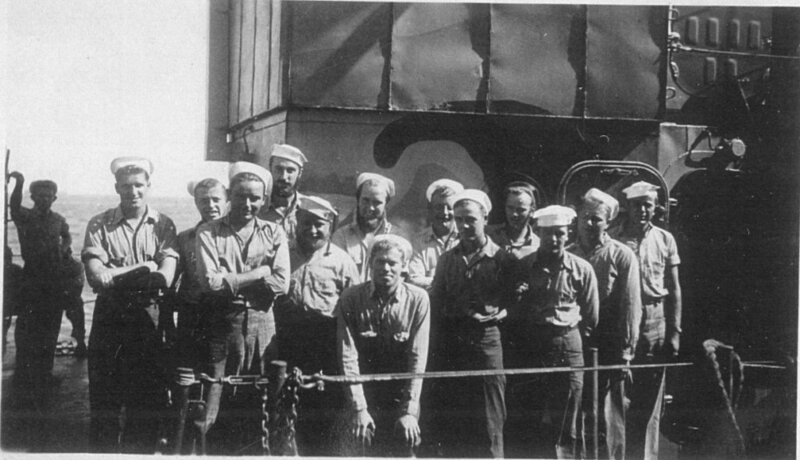 49k USS LCI(G)-346 partial crew photo, July 1945. 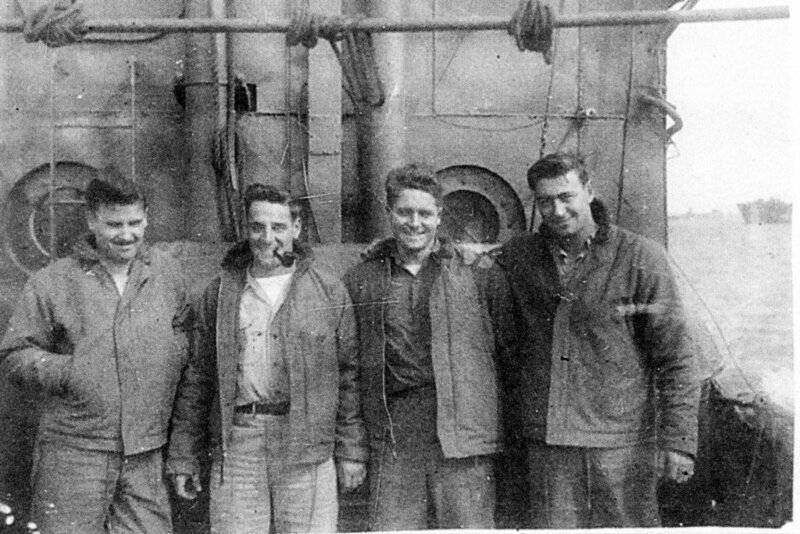 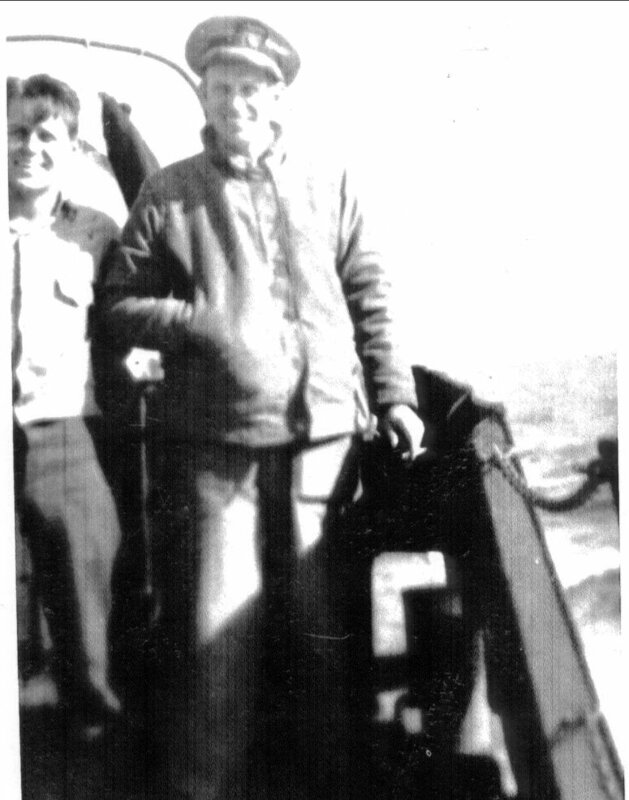 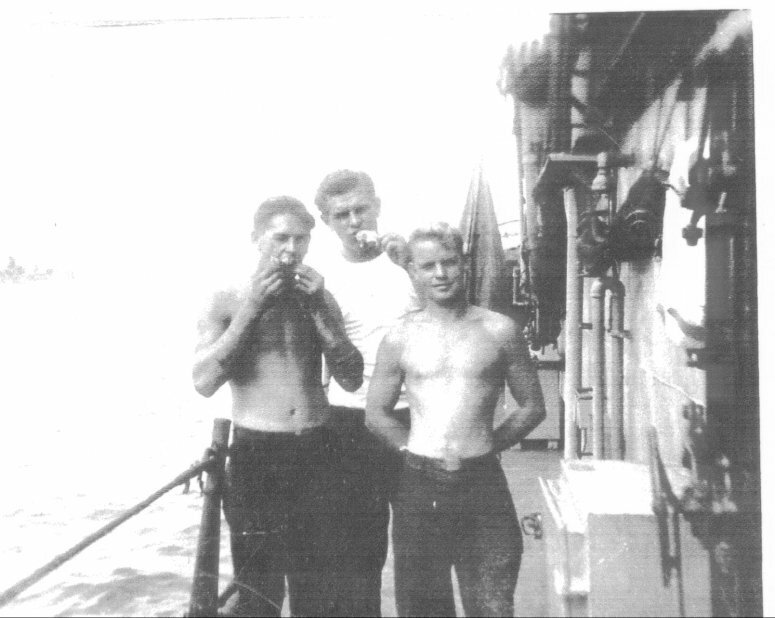 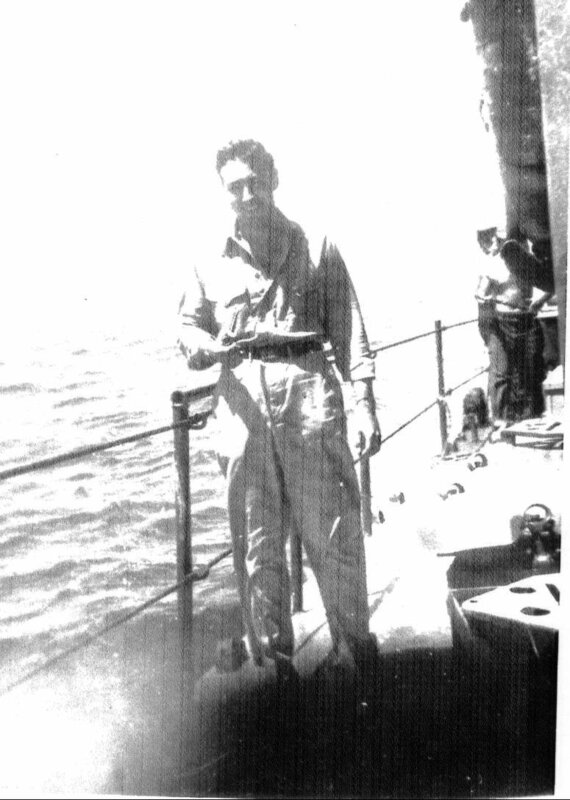 231k USS LCI(G)-346 bridge crew, date and location unknown.